Tomorrows lunch is todays opportunity. 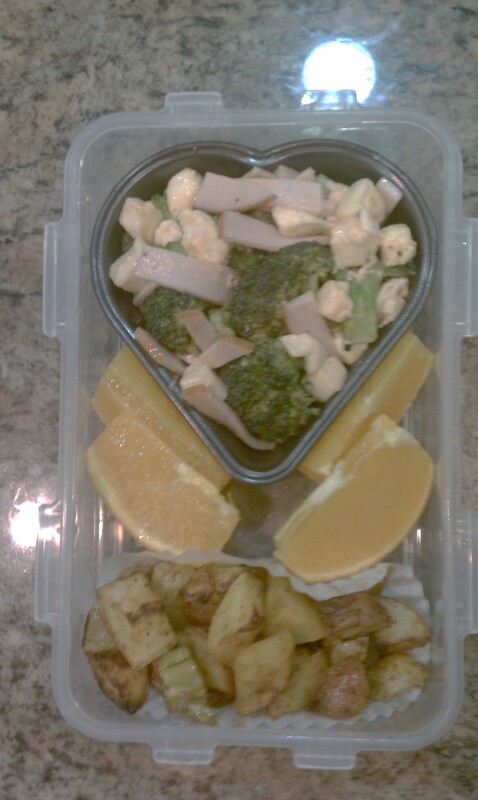 Lunch tomorrow will feature a broccoli salad with little bits of ham and soft mozzarella cheese. I added some lemon, olive oil salt. It didn’t have enough taste so I added mixture of tomato paste, Japanese Mayonaisse, and pepper. I could easily turn this into a gratin, but we’ll have to see where tomorrows mood puts me. The potatoes are red and yellow new. They have been shook up in a bag of chicken seasoning mix (Custom blend from Valley Produce Market) and olive oil, then baked in my toaster oven. I love my toaster oven! It’s so easy to cook things that are single serving, and then I don’t have to heat up the whole oven.